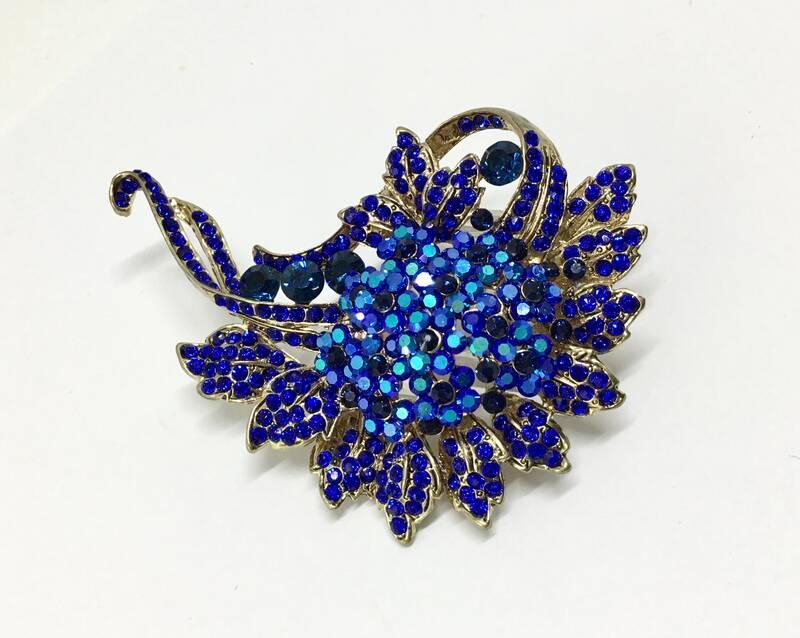 This is a new vintage inspired goldtone floral brooch. 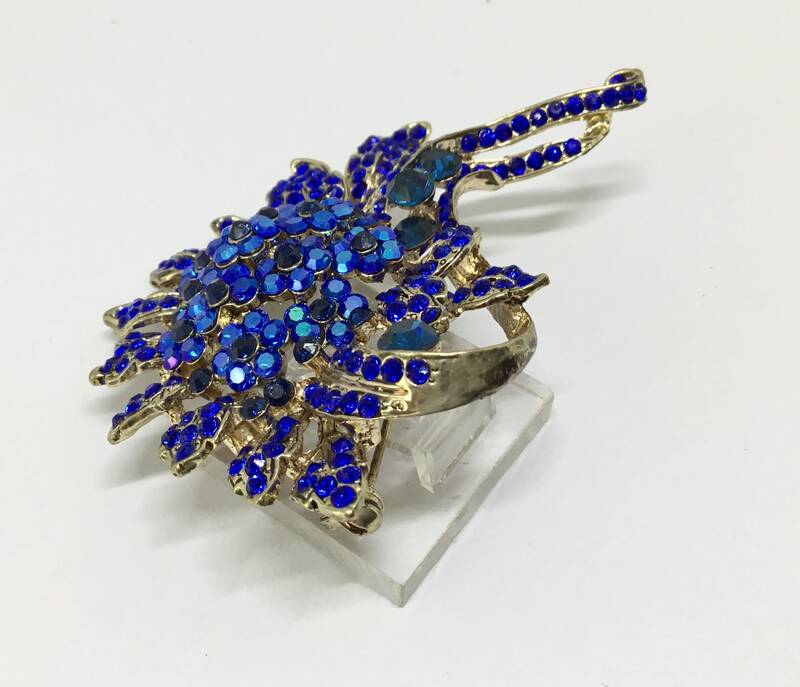 The large center is a group of super sparkly blue AB crystals. 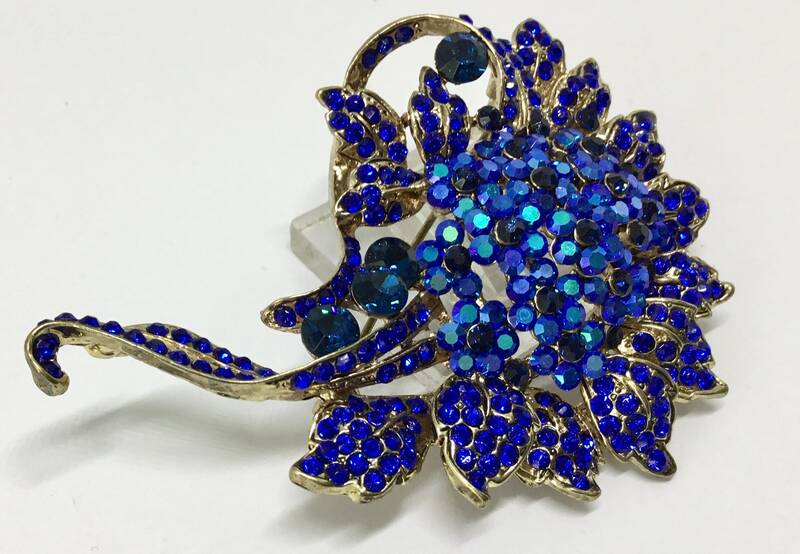 The petals are rich blue crystals accenting each petal and the stem. 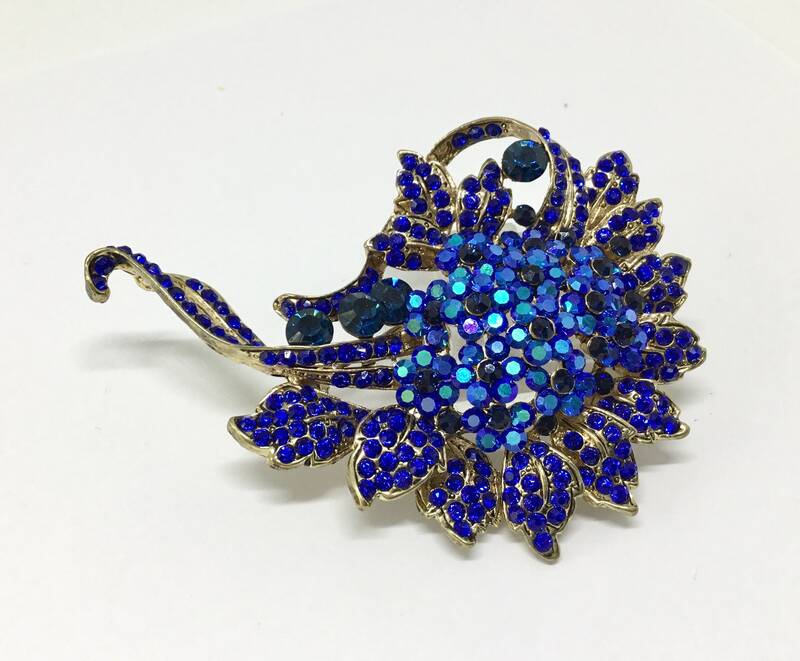 There are four larger dark blue round crystals along the stem. 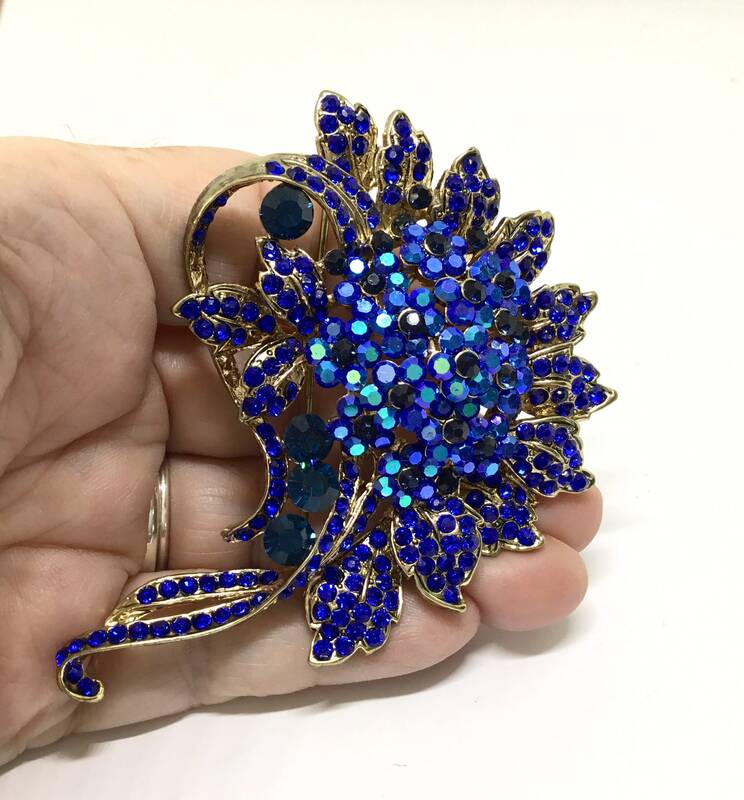 It measures 3 1/8” x 2 1/2” and comes with a pin on the back. 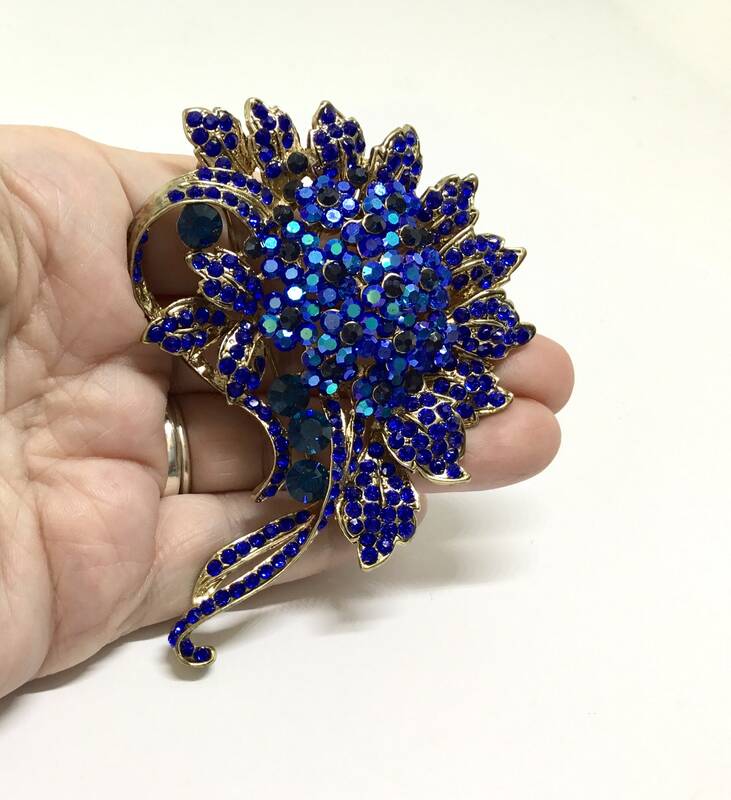 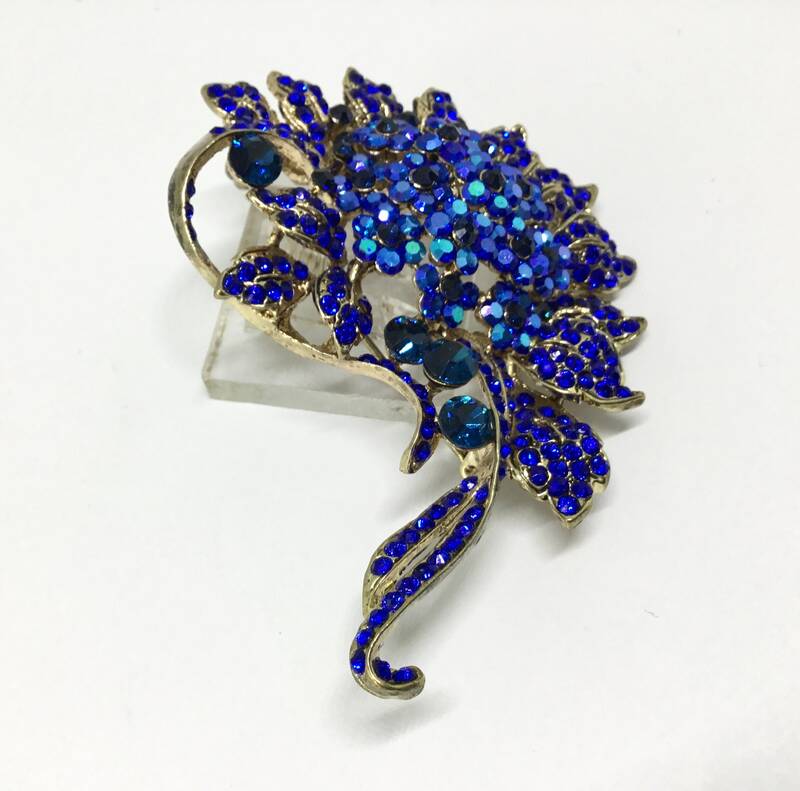 This gorgeous flower would be great in a bridal bouquet, accent on a wedding or birthday cake, something blue , as a gift, embellishment for everyday wear, or for a DIY project needing some glitz and glam.